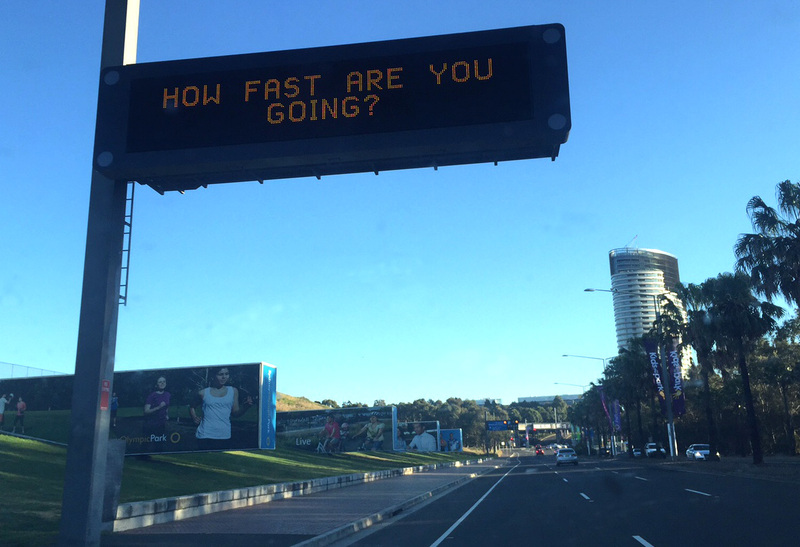 In the month of July, Sydney Olympic Park Authority is reminding motorists to slow down as part of a road safety campaign. It’s a message that we all know, and an important one to be reminded of for everyone’s safety – motorists, cyclists and pedestrians. This is especially the case here at Sydney Olympic Park as a major events destination, where we have huge numbers of pedestrians. What’s the speed limit at Sydney Olympic Park? As we have such high numbers of pedestrians, most of the roads within the core centre of Sydney Olympic Park are 40km/hour. Some of the major roads surrounding the Park like Australia, Edwin Flack, Kevin Coombs and Sarah Durack Avenues are 60 km/hour. We have come across a very useful app called Speed Adviser. 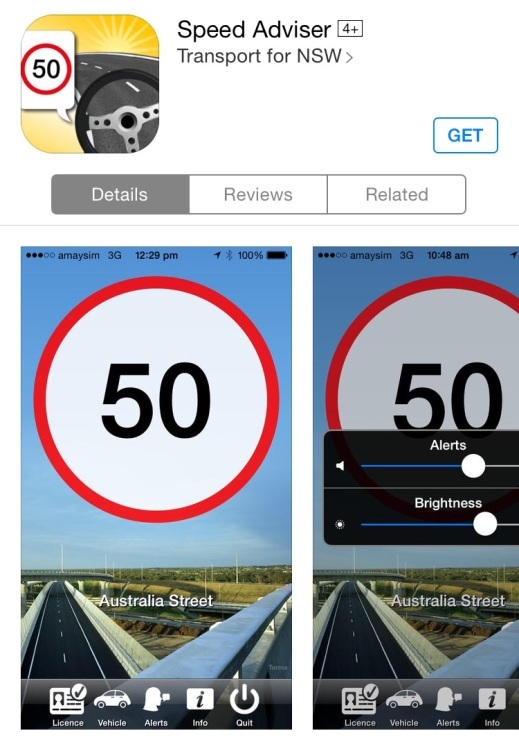 The app has been developed by Transport for NSW to reduce speeding and save lives. Should have a permanent sign of 40 km/h limit at both ends of Olympic Blvd between Dawn Fraser Ave and Kevin Coombs Ave.
Hi Charlie, thanks for your comment. We are actually currently reviewing the 40km signage and replacing some missing signs in the precinct. Olympic Boulevard is included as part of this review. In the meantime, we have positioned a visual messaging sign showing 40km/h in Olympic Blvd close to Dawn Fraser Ave.
Hi, according to the above comment, there is still no speed sign installed between Olympic Blvd close to Kevin Coombs Ave. This is very DECEIVING. Mentioned above Kevin Coombs is 60km and i dare say that most drivers entering Olympic Blvd would continue at 60km and there also isnt any ‘share zone with pedestrian’ signs to indicate otherwise. What actions can be taken to dispute this should there be a random speed test?? When you enter Olympic Boulevard from Kevin Coombs Ave there is a 40 km/h sign indicating the 40 km/hour speed limit. In regards to ‘share zone with pedestrians’ this actually does not apply as the Boulevard is not a shared zone. Shared Zones are areas where pedestrians and vehicles have equal priority. The Boulevard is a 40 km/speed limit where vehicles have priority. Thanks Savannah for the clarification on share zones. That’s good to hear now because there was no 40km sign visible during the deconstruction of the V8 Supercars. So it would be highly unfair should anyone received a speeding ticket during this period.